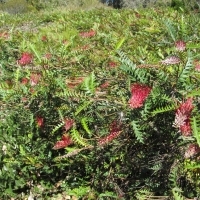 Large shrub with large, blood red flowers throughout the year. 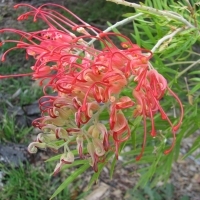 One of the original grevilleas and the parent of many hybrid grevilleas. Excellent bird attractant. A cross between Poorinda Royal Mantle and Bronze Rambler. 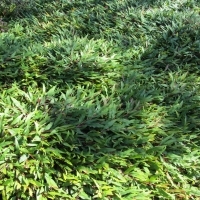 It is an extremely low growing ground cover that is also low maintenance.Regular pruning will maintain it in a small compact shape. 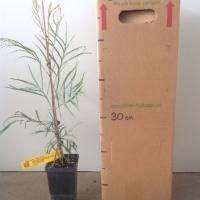 Grows 20-30cm high and 2.5m wide. 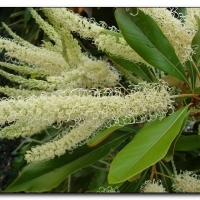 Vigorous dense shrub with long, wide leaves making it a great screen. 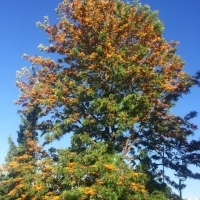 The orange flowers are held in terminal clusters , at the end of its branches, year round. 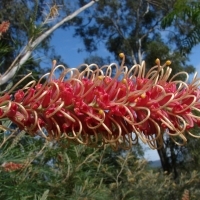 Flowers are large pink/cream brush type and flowers most of the year. 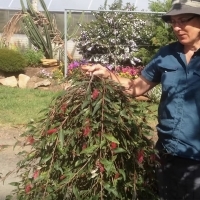 Large shrub 3-4 meters with finely divided grey/green leaves. 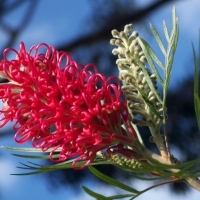 Grows best in moist well drained soil in full sun. Pruning maintains denseness and encourages flowering. This is a beautiful dense ground cover to small shrub that produces attractive flowers through late winter into summer. It is fantastic habitat for small birds. 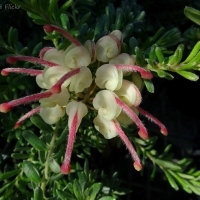 A compact and low-growing, spreading shrub with wonderful dense grey/green foliage and attractive clusters of pink and cream flowers that occurs from late winter through to spring. 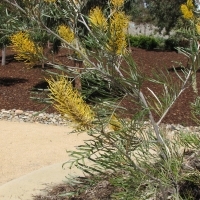 It grows 1-2 m wide and about 50 cm high. Frost hardy. Produces deep raspberry pink flowers year round. 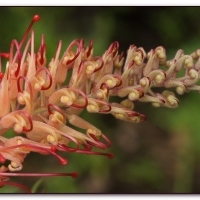 It grows to around 1.5m by 1.5m and attracts numerous nectar feeding birds. 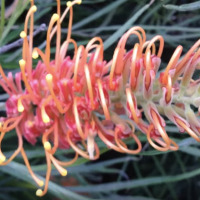 It requires soil with reasonable drainage and is hardy to light frosts. Prune hard at least once a year. Spectacular feature plant for the small garden. Frost tolerant -1C. 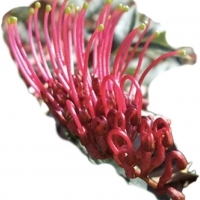 A tall shrub to 4m with ferny foliage and prolific long pink flowers that are produced over a long period. 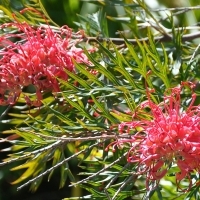 A small shrub with fine needle like foliage, the flowers are bright red spider type, flowers mainly in winter and spring. The dense spiky foliage is very attracting to small birds. 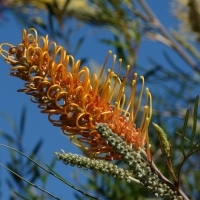 A large spreading shrub, flowers are a unique deep burnt red and orange/green. Prune regularly to maintain compact shape. 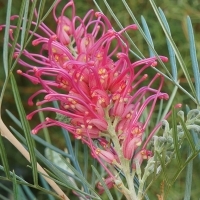 Tall shrub to 4m, grey green foliage with large pale pink/cream flowers. 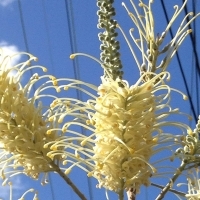 Prolific flowering native. 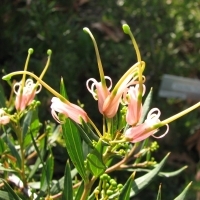 This cultivar is a bushy shrub which grows to a height of 1.5m by up to 1m wide. Attractive pink to red flowers in abundance. 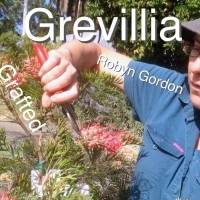 Hybrid between Grevilla speciosa and Grevillea linearifolia. 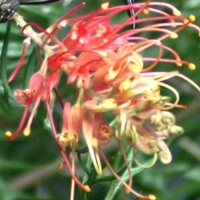 A medium sized bush with bright red bird attracting flowers. Tip prune the bush to keep it tidy and producing masses of these beautiful blooms. they are excellent cut flowers.